Saving the day, one turn at at time. Of all the places to go camping, this may be your last. More than the eye may meet, far from restful retreat, fast will Camp Keepalive many make run and bleat; yet fear not, for it is a true turn-based treat. Summer, 1986... is there truly any greater time to be alive? And for you, new counselor, what an adventure you have ahead of you -- welcome to Camp Keepalive! For generations, campers have been enjoying our crisp, blue waters, our lush, green forests, and our occasional outbreaks of psychopathic killers and mutant creatures. Quite unassuming upon first glance, this Twofold Secret creation is a very pleasant surprise that is bound to have you breaking camp time and time again. In fact, we recommend you pack up and get the demo (direct link) at your earliest possible convenience. 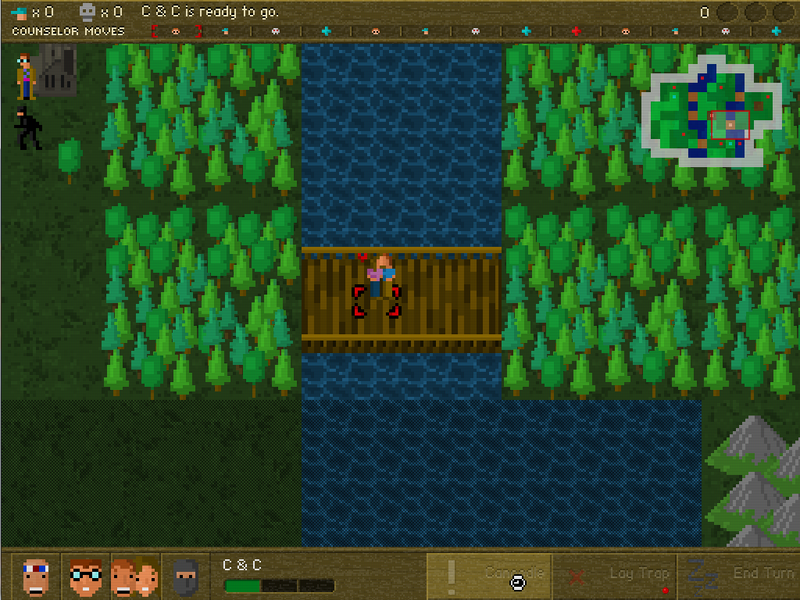 It comprises a quick tutorial and the neatly bundled Survival mode. Go now, and tell us of your exploits later, by the campfire. Eurogamer's Dan Whitehead camps down and reviews Camp Keepalive. The developers of Camp Keepalive give some insight about their game and what went into making it at True PC Gaming over yonder. The official release date has now been revealed, so keep your eyes peeled this August 24th. You must be logged in to reply. Please log in or register an account.